Growing up in New Jersey, my father had a little garden where we got all our begetables for the summer. Tomatoes, Eggplant, Zucchini, String Beans, you name it. Well I came across a really informative web-site (organicgardening.com) and found this how-to-build a Tomato Tower. For those who have the yard space, this may be worth while to check out. 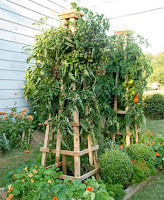 If I had the time along with the space, I would definitely attempt this and relive the days where my father and our neighbor grew and compared their produce. 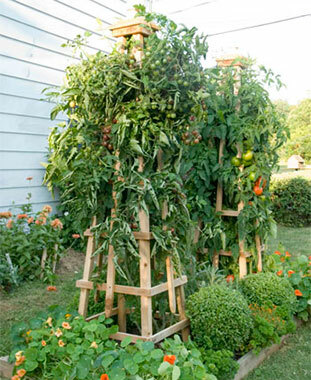 If any one has a tower or ends up building one, we would love for you to share your photos of your construction and tomatoes. This is a post we would love tto revisit with you fans of the blog. Don't forget to check out www.organicgardening.com. Step 1: Cut cedar to size. 4' lengths. Shape both ends into points. 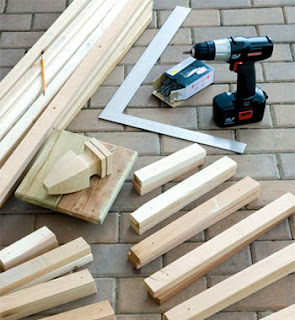 Top: Create a rectangular top piece. Attach 2 1x4x9" pieces side by side and top with the 1x8x7". 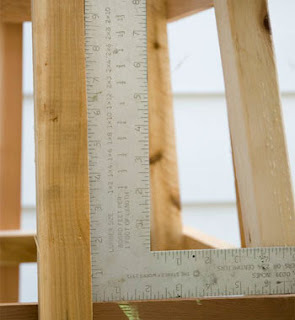 Mark all four 7' uprights at 16 1/2", 29", 41 1/2", 54", and 66 1/2". Be sure to x them below the marks. The x's will be covered by the horizontals. Mark the exact center of all but the shortest (top) and longest (bottom) horizontals. 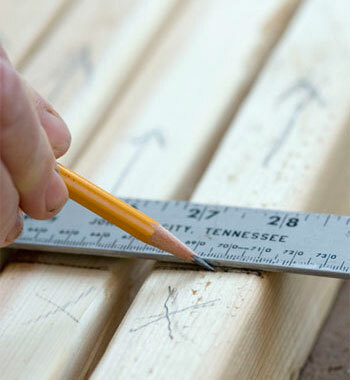 This will indicate placement of the center strips. 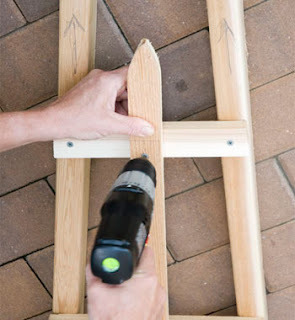 Using all but the shortest short-side horizontal pieces, create two angled "ladders" by screwing each into place. Then add the decorative center strips so that they extend 5 inches above the top "rung" of the "ladder." Use the angle to square the two assembled sides. 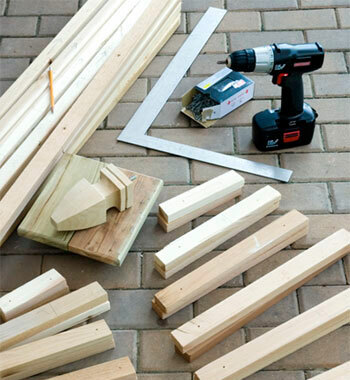 The center strips should be at a precise 90° angle to the horizontals. 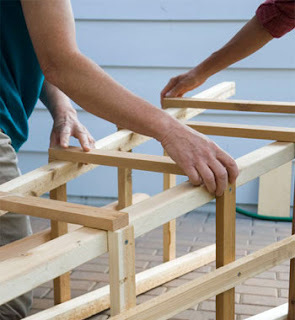 Have an assistant hold the two assembled sides while you join them using the long-side horizontals. 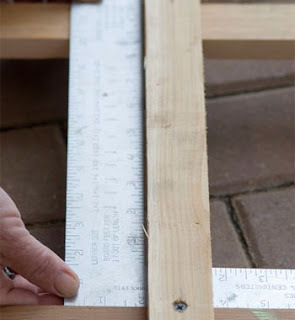 Attach the decorative center strip. Then flip the tower and do the same with the other side. Step 6: Square the Tower. Stand it upright and jiggle the sides until all horizontals are at 90° angles to the decorative vertical strips. Screw in the top (shortest) horizontals flush with the top of the uprights. 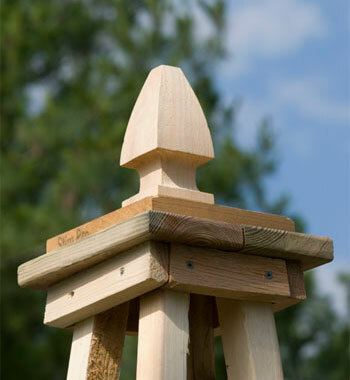 Top the tower with the rectangular top piece, then screw in the decorative finial. 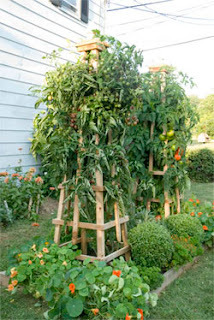 And there you have it: A super-sturdy tomato tower that will last for years. Remember to plant the tomatoes after you build the tower. And be sure to anchor the tower to the soil to prevent it from falling over. It's Friday! What's for Dinner?